The Hospitality Team creates an atmosphere of warmth by truly welcoming guests into God’s house through friendly and authentically gracious service. 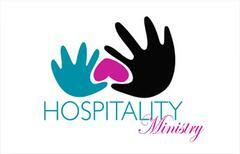 The vision of this ministry is to "help bring more lives to Christ " by extending the love of God through hospitality. Those who enter our doors will experience the love of God and the beauty of fellowship where they will experience and see church as a family, not an institution.